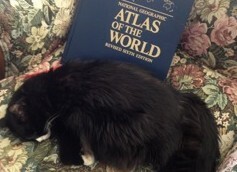 As you can see, one of my cats took a catnap while reading last night. Thought you’d get a kick out of her worldly tastes. More cat stories to come!